When it comes to a man’s face, ClarinsMen knows the terrain. Smooth Shave’s nick-resistant foaming gel cushions skin for easy razor glide — so you can manage your most challenging angles with expert handling and control. Soothes, energizes and purifies with Bison Grass and Chinese Galanga. Clinically tested on the toughest beards. Rated 5 out of 5 by DavidTx from Best shave gel I've tried many discount store shave gels and nothing compares to ClarinsMen Smooth Shave. It takes just a little bit to lather onto your face. Your razor will glide across your face and leave your face smooth with a great fresh fragrance. Once you try it you will be hooked. Rated 5 out of 5 by HERN from Great product I tried this product and let me tell they were right on the money when they mentioned it would be great for my face. I will continue to purchase this item! Rated 5 out of 5 by ClarinsForever from Buy it for your guy! I have bought this product for many years for my husband. It is a superior product compared to off the shelf products. It really does last longer! It is worth every penny!!! Rated 5 out of 5 by MrsLisha from Husband luvs Shaving Cream Hubby usually gets irritation or ingrown hairs when he shaves, but not with Clarins Men Shaving Cream. He is very picky & only uses this now! Rated 5 out of 5 by Chip from Close shave indeed For better being a light gel, I was surprised how close shave it allowed. Rated 3 out of 5 by Liiiz from My BF says it hurts when shaving I bought this one for my boyfriend because he has dry skin and this one is fit for smoothing skin when shaving. However, it somehow cannot soften the bread and hurt much when shaving. Little disappointed. Rated 5 out of 5 by YankeeLady from A Great Shave I gave this product to my husband as a gift. He's says that it gives a great, close shave, is comfortable to the skin, and smells good, too! Rated 5 out of 5 by SBella from Loving the Mens Line for my man! 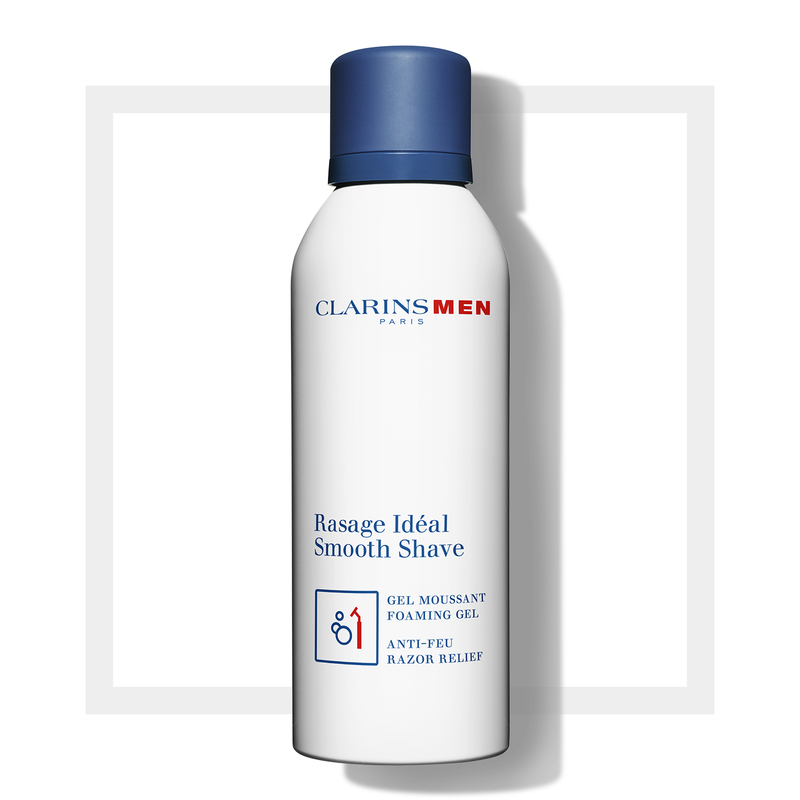 I bought this product for my boyfriend and he is in love with Clarins Smooth Shave. He has been ranting and raving to his friends about how smooth his skin has been with no nicks at all. I definitely recommend this product for every guy!